Shipping Go (www.shipping-go.com) provides reliable and professional mail forwarding services today. Mail forwarding is usually availed by people who are fond of shipping mails and items from one place to another especially when it comes to personal or business purposes. For those people who are in search for the best provider of the best mail forwarding services, Shipping Go LLC is the ultimate solution to the problem. Shipping-go.com is very pleased to provide the best mail forwarding services that could help people to secure mails and parcels at all times. Shipping Go, LLC is shipping parcels and mails to more than 200 countries around the world. Their services are already been used by some companies such as eBay buyers, online stores, expatriates, immigrants and even those travelling people. Shipping Go, LLC delivers parcels and mails to different parts of the world hence there is nothing to worry about. As part of the mail forwarding services of the company, people are given the chance to choose from the different shipping companies Shipping Go, LLC is partnered with such as the UPS, DHL, USPS and FedEx. The company also offers the chance to save unlimited address in the address book which can be suited for future deliveries. 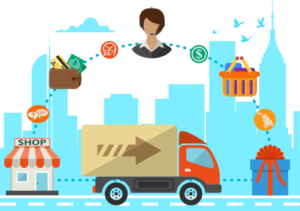 At Shipping Go, they have secured online app that manages post, views and managed mail. They would also give people the chance to scanned copies of issue instructions and correspondence for the original mails that will be sent to the mail recipient. This is just a manifestation that people who are going to get in touch with the company can acquire the best and most secure mail forwarding services suited for their mails and parcels. At Shipping Go, LLC, they are really on the go to offer the best and most excellent mail forwarding services to different types of mails and parcels. With their partnership to some of the biggest and best shipping companies, people are assured that their mails and parcels would be forwarded to its suited destination on time and at a secured manner.